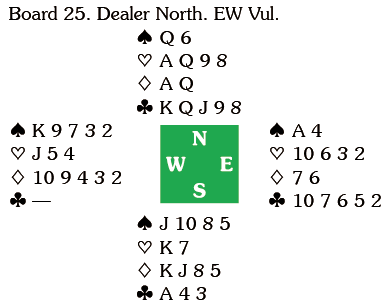 When East led the 5 declarer ended up with all the tricks as East discarded a heart, +1020. I have a feeling David Bird’s computer would opt for the A – remind me to ask him. East led his club – nothing else is better – and declarer ruffed in dummy. 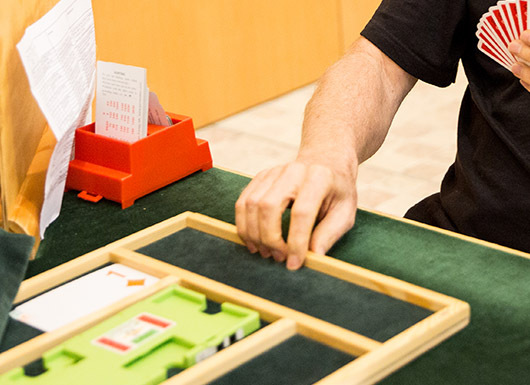 The simple line now is to come to hand with a diamond and then play a club – East can score the Q, but declarer will ruff two clubs in dummy for eleven tricks. In practice declarer ruffed a spade at trick two and played a club. 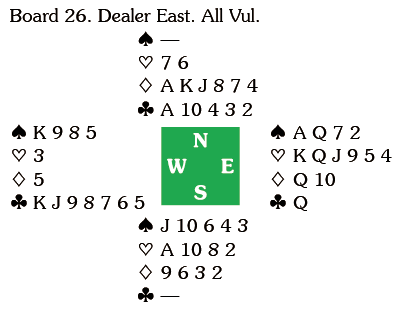 This line is still fine, but unaccountably declarer played the A and East’s ruff effectively cost two tricks, as declarer now had a losing as well as a heart and the ruff.